Thank You for Voting in the 2019 ASUC General Elections! Like our Facebook page for important updates regarding elections! this event is not mandatory and no sign-ups will be released, however, if any campaign materials are found on campus after 4/14/2019, the Elections Prosecutor will accordingly handle all investigations and give out appropriate censures. Each year the ASUC holds a regular election to choose its five Executive Officers and twenty Senators. All members of the Association, that is all undergraduate and graduate students at UC Berkeley, can vote. Regular elections are held the second week following the Spring Break in early April. Students vote using the Ranked Choice System which guarantees diverse and proportional elections results. Furthermore, students can vote on referendum propositions. Referendum propositions can be placed on the ballot by the ASUC Senate, Graduate Assembly, or a petition of the student body. Lastly, special elections can occur to recall officials or in some other limited circumstances. This website is available year-round as a resources to voters, candidates, parties, and proposition proponents/opponents. Please note that the website is usually updated during the winter break for the following elections cycle. During the voting period, the link to vote will appear on this page. For more info, read through this website, check out the comprehensive Elections Bylaws or contact the Elections Council (all available below). The voting can take place online through CalLink or at our voting booths. The voting period for the 2019 regular election will be from Monday, April 8, 12:01 AM to Wednesday, April 10, 11:59 PM. You can access the online voting system here. Additionally, there will be one on-campus polling stations, one will be in the Admin Office and the other in MLK, both will be operating from 9AM-4PM. You can vote by electronic or paper ballot at the polling station. The station will open no later than at 9:00 AM and will close no earlier than at 4:00 PM each day of the voting period. To vote with a paper ballot, you will need either (a) your Cal1Card or (b) a photo ID and an official document establishing your student ID number. The regulations related to voting and your rights can be found in ASUC Bylaw 4103: Voting. The ASUC uses ranked choice voting to choose its elected officials. Voters can rank candidates in order of preference on the ballot. To count the votes, we use the Instant-Runoff Voting (IRV) method for executive officers and the Single Transferable Vote (STV) method for the senate race (click the wikipedia links for more technical info). Under the IRV method if no candidate receives a majority, then the candidate with the fewest votes is eliminated. That candidate’s votes are transferred to their next ballot preference. This method simulates an election with multiple run off rounds. With the IRV method, voters don’t have to worry about “wasting” their votes on less popular candidates and every winner is elected by a majority vote. STV applies a similar method to a multi-seat race. It guarantees proportional representation, meaning that for example if a group of candidates receives 30% of the vote they will receive about 30% of the seats. STV allows candidates to represent any communities they want, instead of having to stick to traditional districts like housing or colleges, thus guaranteeing an election result representative of the student body’s diversity. The filing period candidates and party endorsements for the 2018 Elections will open on Monday, March 4, 2019, 10:00 AM and close on Friday, March 15, 2019, 5:00 PM. Both candidates and parties must file these forms (including submitting payment in person to the LEAD Center) by the deadline. Elections forms related to registering a new party, party signatory status, referendums, and recall elections are available year-round. If you wish to amend a form you have already filed, please email elections@asuc.org. If you wish to file an additional form, you will be able to do so by clicking “create a new one” on the form submission review screen. For candidates, if you wish to run for additional offices please file an additional form. If you wish to switch what office you are running for but keep the same total number of offices email elections@asuc.org with an amendment. The Elections Rules are vital to ensuring a fair and democratic elections process. Please report any violations to the Election Prosecutor’s Office by email. You can reach the Elections Prosecutor through electionsprosecutor@asuc.org. A comprehensive list of Campaign Rules and Violations can be found here. All reports will be reviewed by the Elections Prosecutor. If you have any further questions, please email the Elections Prosecutor at electionsprosecutor@asuc.org. Please note that the Elections Council as a whole does not vote on or discuss whether to charge suspects or not. This is at the discretion of the Elections Prosecutor. A referendum is a vote of the student body on a specific ballot question. The ballot question itself is called a proposition. Propositions can amend the ASUC governing documents, state an opinion of the student body, approve changes to student-initiated fees, and exercise other powers of the Association. Propositions are voted on during regular elections. Propositions can be placed on the ballot by the ASUC Senate, Graduate Assembly, or by a petition signed by 10% of the student body. To appear in an election, propositions must be placed on the ballot by the end of the filing period. A Proposition Primary Proponent / Opponent Form (described below) must be submitted by the end of the filing period (for legislatively-referred propositions) and before any petition signatures are collected (for voter-initiated propositions). Please read the entirety of ASUC Bylaw Series 4300, linked below, before initiating a proposition. Additionally, any propositions relating to student fees must also be approved by the campus Student Fee Referenda Committee (SFRC). Please note that the SFRC has very strict deadlines, and initial contact must be inited with SFRC by October 15 of the preceding year. SFRC will work with student fee referendum proponent through early spring semester to finalize the language of the student fee with the UC Office of the President. SFRC must approve the student fee before it is placed on the ballot. This means that proponents need the final SFRC-approved version of the student fee before the ASUC Senate or Graduate Assembly can pass a resolution placing the proposition on the ballot or before the proponents start collecting signatures to place it on the ballot via petition. A recall election is a special type of referendum that can be used to remove any ASUC elected official from office. Recalls can be initiated at any time, by a petition signed by 25% of the number of people who voted in the previous election. Please read the entirety of ASUC Bylaw Series 4300, linked below, before initiating a recall. To find out more about propositions, how to start a petition to place a question on the ballot, or how to initiate a recall check out ASUC Bylaw Series 4300: Direct Democracy. Primary Proponents of a voter-initiated (petition) proposition or recall must file a Proposition Primary Proponent / Opponent Form (linked to in the Filing Forms tab) before collecting signatures. Proponents must use the online petition created by the Elections Council; other petition documents cannot be accepted. It can take approximately one to two weeks for the petition to be created by the Elections Council after the form is submitted, so please plan accordingly. The Primary Proponent is required to meet with the Elections Council for a drafting meeting before the petition is created. Additionally, the Primary Proponent must participated in a a public hearing held by the ASUC Senate on the proposition before the end of the filing period (the Senate does not vote to approve the petition or not, but any member of the Senate or student body can question the primary proponent at the hearing). Primary Proponents of a legislatively-referred proposition must file a Proposition Primary Proponent / Opponent Form (linked to in the Filing Forms tab) after the Senate or Graduate Assembly votes to place the proposition on the ballot, but before the end of the filing period. Click here to read the elections rules contained in series 4000 of the ASUC Bylaws. Candidates, parties, and proposition proponents/opponents are responsible for knowing the most up-to-date version of the Elections Bylaws at all times. The Elections Bylaws provide a very comprehensive guide to all policies, rules, procedures, and regulations related to the operation of the ASUC Elections and all involved actors. Elections Council Public Documents can be found here. Campaign Finance Worksheets can be found here. The Audit Report 2018 can be found here. The code of the Tabulator, which is used to count votes, is open to public access and can be viewed here. 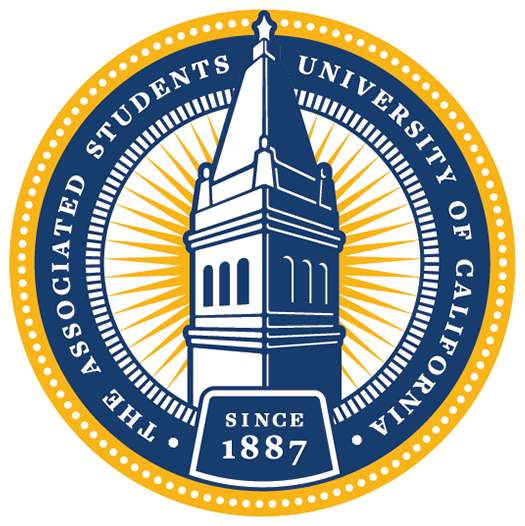 The ASUC Elections are organized by the ASUC Elections Council. The council is an independent body created by the ASUC Constitution, composed of eight voting members. The Chair, Assistant Chair, Prosecutor, and Auditor actively participate in the operation of the elections process. The Public Defender offers independent services to candidates. The Attorney General, Chief Personnel Officer, and Graduate Assembly designee generally advise the council and ensure oversight. Additionally, the nonvoting Judicial Council and LEAD Center representatives provided important resources to the council and act as liaisons to the other branches of the ASUC.